A new £11m Extra Care Development has just been completed and Mona Precast are the proud suppliers of the exquisite concrete paviours used throughout this project. Hafod y Parc is found in Abergele and serves a vital function for the local community by providing private apartments for over 60 year olds. It will supply people with more options for independent living in the area and the scheme is the first of its kind for Abergele. 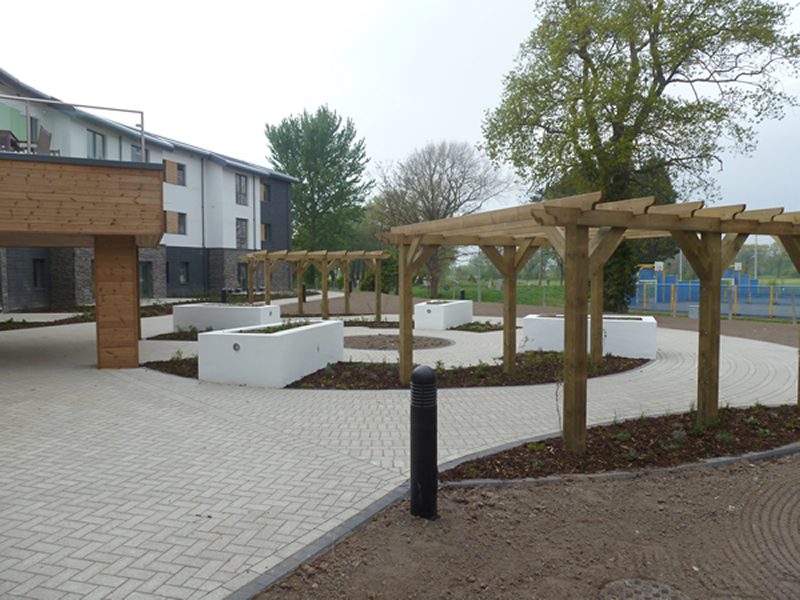 The feedback from residents has been highly positive and Mona Precast were delighted to play a vital role in the development by supplying the project with our brand new range of concrete paviours. This development is particularly special for Mona Precast as it is the first time these new concrete paving products will have been used on a project and to have them showcased on such an important local scheme is wonderful to see. 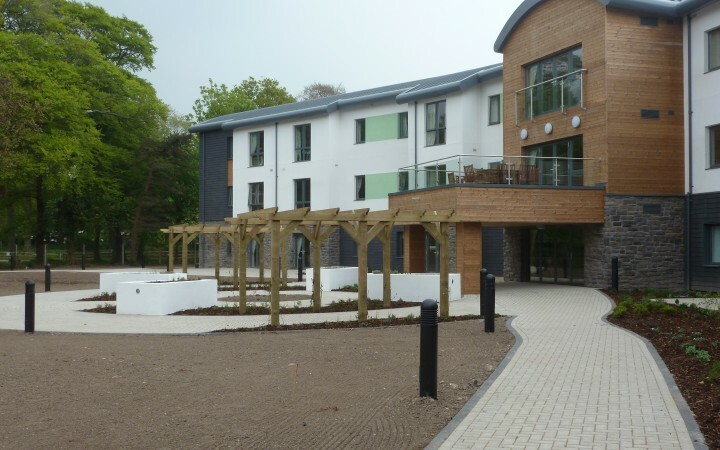 Our new Monapave textured paviours and our new Conwy 450 slabs were the chosen products for the development and they have certainly brought a uniquely attractive design to the Extra Care structure with their superior aesthetic qualities. Our textured Monapave concrete paviours have undergone special weathered treatment. This is what gives them that gorgeous texture, rich look and the light reflecting appearance of shimmering stone. A great deal of hard work and craftsmanship has gone into the manufacturing of these two new products. Both the Conwy 450 slabs and the textured Monapave were chosen for this project for specific reasons. The nature of the development called for certain features, which we have delivered on to enhance the project and give the best possible finished result. 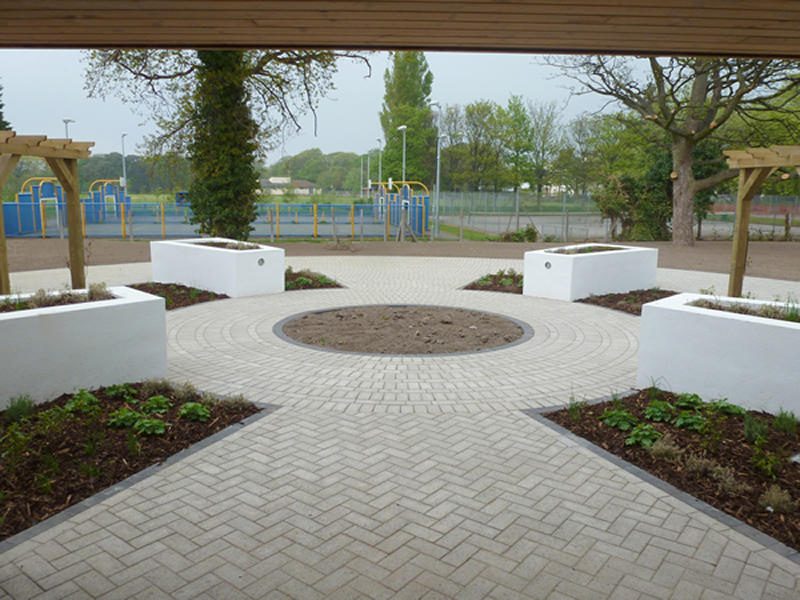 The chosen paviours and slabs are slip resistant, hard wearing and possess clean lines. They both are also highly attractive concrete pavers elegantly mimicking the beautiful and rich textures of natural stone. These features make Mona Precast’s new ranges of concrete paviours and slabs ideal for the Extra Care development and we are delighted to see the finished project completed.